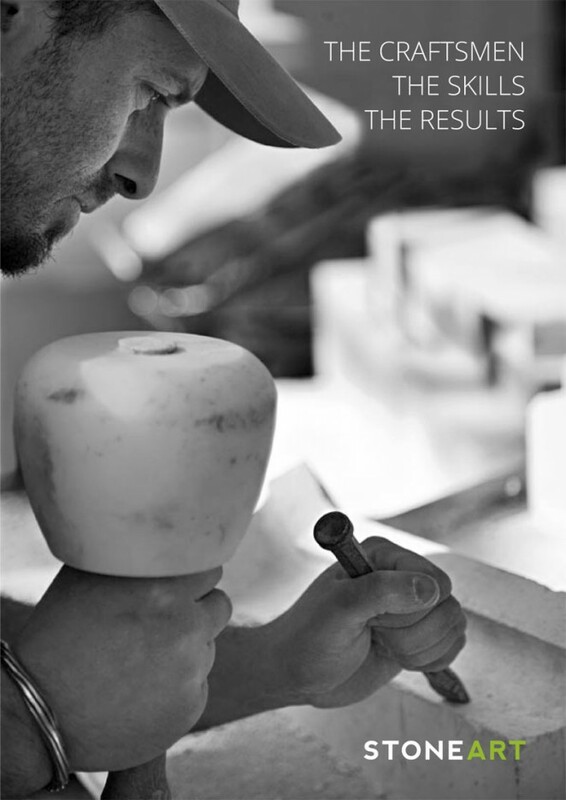 Stone Art are stonemasons, and under the leadership of Sébastien David provide standards of quality and workmanship second to none which are featured in the Stone Art leaflet. 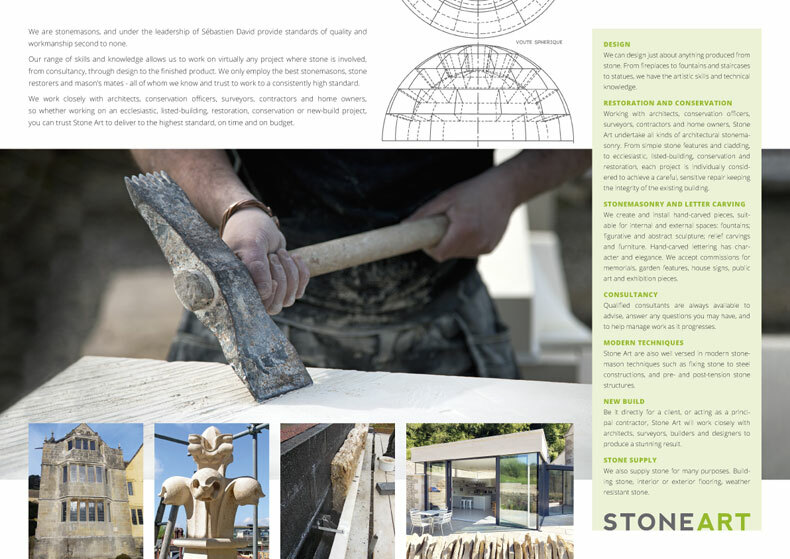 Aimed at architects, conservation officers, surveyors, contractors and home owners, the 4pp A4 leaflet showcases Stone Art’s range of skills and knowledge which allows them to work on virtually any project where stone is involved, from consultancy, through design to the finished product. Stone Art only employ the best stonemasons, stone restorers and mason’s mates – all of whom are known and trusted to work to a consistently high standard.